My 7 Links: I’m a REAL Travel Blogger Now! | So Not Lost! My 7 Links: I’m a REAL Travel Blogger Now! I’ve been travel blogging for nearly three years now. I do my best to connect with other travel bloggers and “tweeps,” mostly through the aid of social media such as Twitter. Still, I realize I’m nowhere near the same level as most of the folks I connect with. I’ve never been to TBEX, I don’t get thousands of hits per day (heck, I’m thrilled when I get more than 100 hits in one day), I haven’t been successful in monetizing the site, and I certainly haven’t been contacted to do press trips and such. All in all, that adds up to a blogger with self-esteem issues. Until Two Go RTW came along. They recently published their 7 links, and tagged me to participate. Thanks to them, I no longer have to grovel and beg for an invite (this seemed even more exclusive than Google Plus! look at me, being all topical!). Now I can really call myself a travel blogger! 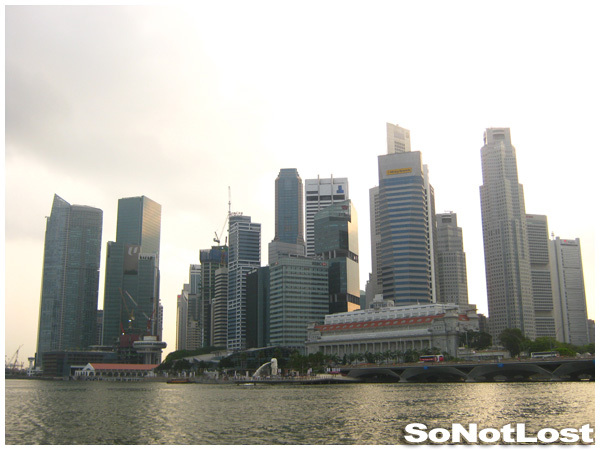 It was kinda tough finding seven solid posts to put on here, but looking back has inspired me to be a better travel blogger, by taking more photos, writing more entries, and just generally adding more content. Maybe we can do this again after another couple of years. 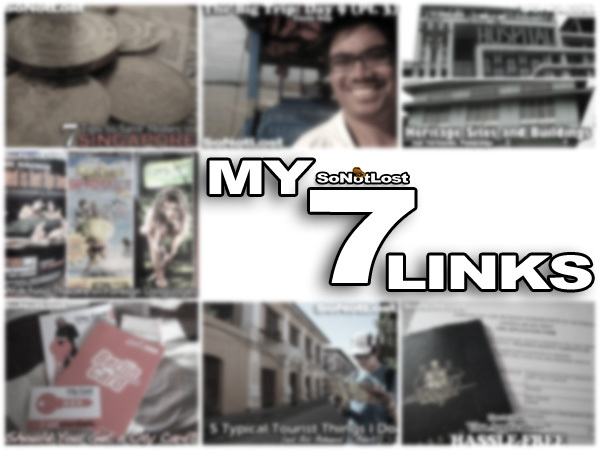 So… without further ado… My 7 Links! 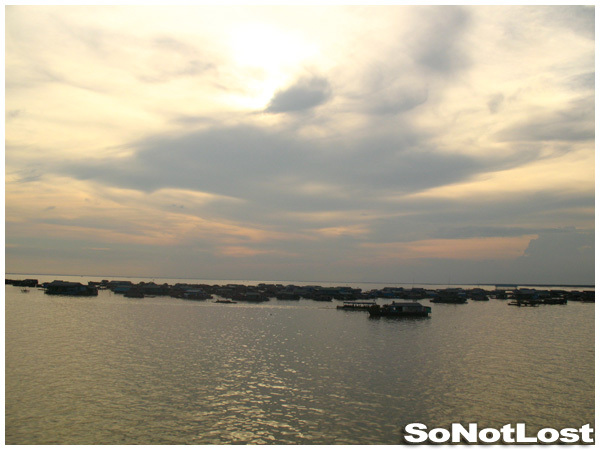 A fortuitous mix of a gorgeous location, a decent camera, and lovely natural lighting resulted in some really pretty photos from Tonle Sap in Cambodia. I’m not the greatest photographer, and I rarely put a lot of great photos together in one post, but this truly was a special entry capturing a special moment in what was my first major trip. If I’m being completely honest, this could probably qualify in four of the seven categories. Still, there’s no denying that this has become the most popular post on my blog, retweeted numerous times (including once by Lonely Planet), and getting over 300 hits in its peak. I do believe that one post vaulted me from the D-List to at least the C-List of travel bloggers. Nothing gets the travel community in a frenzy more than the Tourist vs. Traveler debate (for what it’s worth, I don’t think there’s a real difference). This was my entry into that issue. 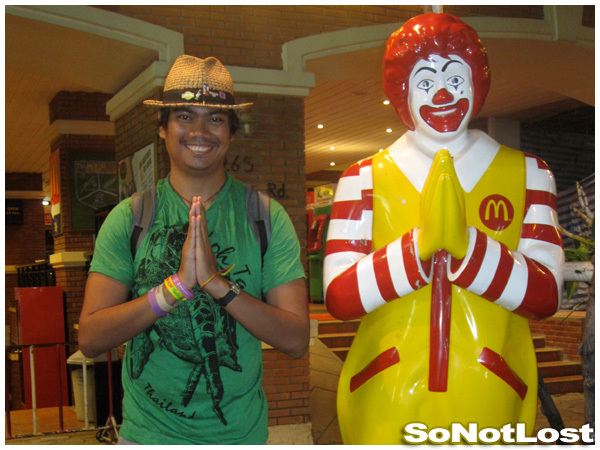 It was fun hearing people admit to some of the stuff I listed, but perhaps the most controversial confession was my McDonald’s one. That ALWAYS raises more than few eyebrows! 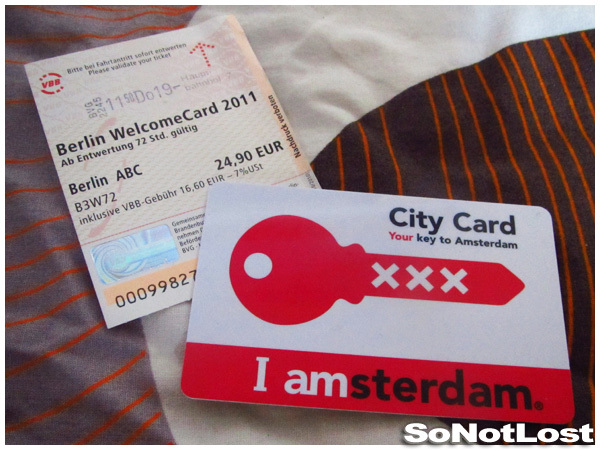 My Most Helpful Post: Should You Get a City Card? 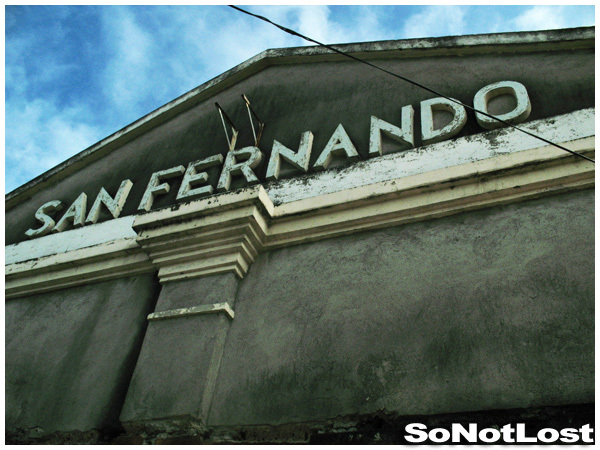 I started off the blog with local destinations, and I wasn’t quite sure what audience it would attract. So it comes as a bit of a surprise that one of my most consistently popular posts is one of those early entries. What’s amazing is that it has also inspired a lot of people to leave comments of their memories of the city and the buildings featured; that to me is a mark of a great post. Maybe I should prompt more people to leave comments, but I was hoping to hear from others on their experiences applying for visas. 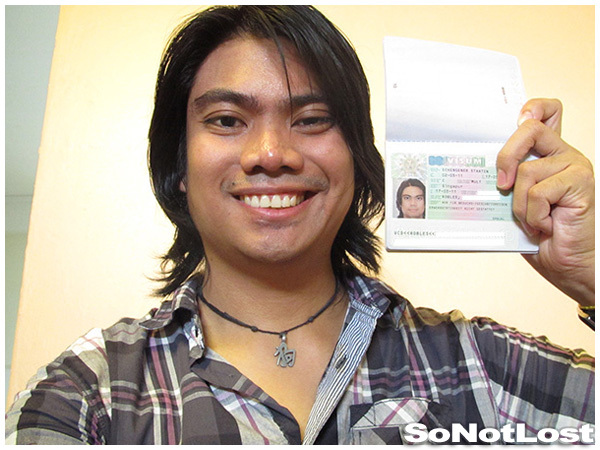 Also, as a Filipino travel blogger, the visa issue is a particularly pertinent one, as most countries require Filipino citizens to get a visa before entering the country. I still think this makes some valuable points, and I do hope it gets people over the stress of visa application. Perhaps as far as quality goes, this isn’t one of the best. And it certainly could use a few more photos. But I’m proud of this for other reasons. Theatre has always been one of my passions, and to finally be able to blog about travel and theatre at the same time is amazing. I’m certainly proud that I grabbed the opportunity to watch some awesome shows while I was in Europe, not caring that I couldn’t understand the language used. So, I guess I’m proud of this post because it really, truly shows who I am not just as a blogger or a traveler, but as a person. I’m proud of this post because it truly reveals my passions. And I’m proud because I’d like to think I successfully managed to tie in my personal experience with the broader experiences of other travelers. Maybe if I revisit this idea a couple of years down the line, I’ll come up with a different set of seven links. I certainly hope so; it would be proof that I had grown as a travel blogger. But for now, this was a nice little showcase of some of the best I can offer. Now comes the fun (but difficult) part: Nominating the next five bloggers to do the same. Looking at Tripbase’s extensive list, most of the people I know and chat with have already been nominated. But hey, this at least allows me to reach out to some “lesser-known” bloggers, as well as personal friends who may not have gotten the attention otherwise. 2. 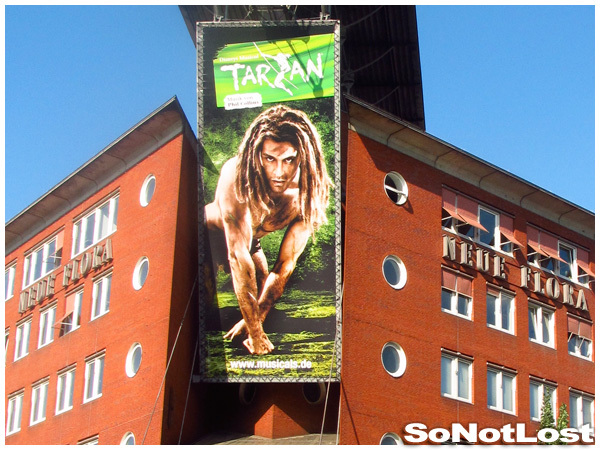 Fabio of Be Free! My ACPAPP friends said the post on “should you get a city card” was very very helpful. oh! if you have any advice on what tech gear to stuff in my backpack (that’s all i will have as a solo-chic-traveller) please feel free to school me!